Created just this year 2004. I love the art of Range Murata. It's just amazing how he creates every character. Though I never really watched the series, I just wanted something from Last Exile. i was looking for a new one to use, and that's the one! it makes me feel at ease. cant tell what you did. I litterally love last exile, thanks for your wallpaper!!! ^^" ^^"
Love the colors and the texturing. Hope you've watched Last Exile by now: I'm watching it now, it's great. This is really great job ! I love this wallpaper. This blur background looks really cool ! Thank you ! This image this brilliant one! 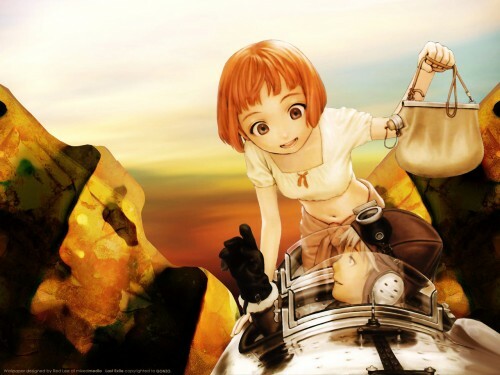 es una gran imagen de last exile good!